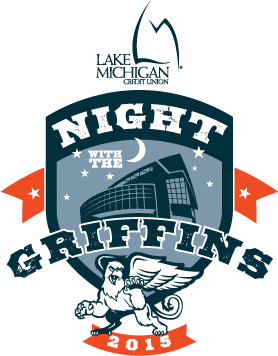 LMCU’s 2015 Night with the Griffins pits the home team against the Rochester Americans on Saturday, February 7. Game time is 7:00 p.m. at the VanAndel Area. Tickets are $13 for upper bowl seats, and $17 for lower bowl. Each game ticket also includes a free $3 food voucher and a free LMCU Griffins t-shirt. Plus, the first 2,000 fans in the arena will get a Griffins bobble head of right wing Mitch Callahan. Tickets are on sale now at all LMCU branches.